My child was arrested. What kind of a lawyer does he need? Your child needs a juvenile defense attorney who is experienced in this specialized area of law. Juvenile law is different from criminal law and family law. For this reason, it is important to retain an experienced juvenile lawyer to represent your child, as many criminal lawyers and family lawyers simply do not have the experience and understanding of the different rules and procedures in this specialized area of law. Few attorneys are experienced in juvenile law and fewer still are lawyers that are experts in this area of law. 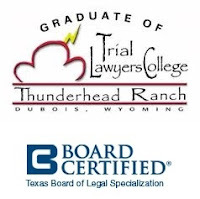 In the state of Texas, there are about 40 attorneys in private practice that are certified in juvenile law by the Texas Board of Legal Specialization. At James G. Sullivan and Associates, the Houston defense attorneys are experienced trial lawyers in both juvenile and criminal courts. They have successfully defended thousands of clients and fought for hundreds of clients at jury trial on all kinds of charges ranging from misdemeanor theft to felony murder. Unlike many colleagues who practice criminal or juvenile law, James Sullivan has never prosecuted anyone and never will. That is not him. His entire career is devoted to defending people accused of crimes and delinquencies. James Sullivan is also Board Certified in Juvenile Law by the Texas Board of Legal Specialization. In order to be certified, a lawyer has to devote a substantial percentage of his practice to juvenile law, handle a wide variety of matters in juvenile law to demonstrate experience and involvement, attend continuing education seminars to keep legal training up to date, be evaluated by fellow lawyers and judges and pass a six (6) hour written examination related to juvenile law. Why should I hire you to represent my child? In addition to being Board Certified in Juvenile Law, James Sullivan has the heart to help others and has over 20 years of experience defending juveniles in court. Sullivan cares deeply for his juvenile clients and personally interviews each client and their parents at his office for a minimum of one hour and this initial consultation frequently lasts two or three hours. The initial focus is on the juvenile case, the possible legal defenses and its resolution—dismissal, deferred prosecution, jury trial or stipulation (plea). Sullivan is an experienced defense trial attorney and gets proven results. Sullivan may be the only Houston juvenile attorney who has tried and won felony jury trials in all three Harris County Juvenile District Courts. These cases include aggravated sexual assault of a child, burglary of a habitation and assault against a public servant. Sullivan has also had over 30 felony and misdemeanor cases dismissed on the date of a jury trial in the juvenile courts and many more in the criminal district courts. The second focus is on the child and his future. Sullivan counsels them from his own experience on how to get on the right path and be successful in life. Sullivan also draws upon the experiences of some of his adult and juvenile clients who did not heed his counsel and are now either in prison or deceased. Sullivan connected with our son immediately. It was apparent he cared about him as a whole person, not just the kid who suddenly found himself in trouble. He was more than just a lawyer to my son. He shared his own experiences and his positive attitude about life and relationships. Sullivan is not only a good lawyer but a good role model for our children. In 1990, James Sullivan graduated from Baylor University with honors (top 5%). In 1993, Sullivan earned his law degree from South Texas College of Law. As a defense lawyer, Sullivan was honored to graduate in Wyoming from Gerry Spence’s Trial Lawyers College, the most prestigious and selective trial advocacy program in America, to hone his trial skills. Yet, when he was a troubled teenager, Sullivan’s current vocation was unfathomable and incomprehensible. As the result of one unforgettable misadventure after another, Sullivan suffered greatly as a teenager and for reasons beyond his control was prevented from attending high school after the 10th grade. At the Trial Lawyers College, Sullivan shared his life story with Gerry Spence. Spence himself experienced tragedy during his formative years, yet went on to become America’s most celebrated and winningest trial lawyer. Spence shared his own wisdom on this transformation from suffering to success—those who have overcome great pain and suffering have the heart to help others. And those words of wisdom sum up Sullivan’s life story and vocation. Sullivan is passionate and zealous in fighting for his clients in court and in guiding them to a successful future. Contact James Sullivan to consult with a board certified Harris County Juvenile Attorney at (281) 546-6428. Attorney fees are an important factor in selecting a juvenile defense attorney, but do you really want the cheapest lawyer when your child’s rights, freedom and future are on the line? The old saying that you get what you pay for is definitely true when it comes to hiring a defense lawyer. Exceptional representation is what your child deserves, but that level of representation should come at a fair price. James G. Sullivan and Associates strive to provide each juvenile client with exceptional representation at a reasonable cost. Unlike many of their colleagues, they charge separate trial and non-trial fees. They do not believe it is reasonable to charge a trial fee unless the case is actually set for trial. What can I do to get my child released from detention? Call a juvenile lawyer who has experience in getting their clients released in detention hearings. An experienced juvenile lawyer should be able to explain the legal process to you and to guide you on how to best prepare for the detention hearing. It is important for you to attend the detention hearing while your child’s lawyer argues the many reasons why the judge should release your child. What does the Judge consider when deciding whether or not to release my child? At the hearing, the judge considers five factors in determining whether to hold your child in the detention center pending a resolution of the case in court or to release your child to a parent or guardian: (1) whether the child is likely to abscond or be removed from the jurisdiction of the court, (2) whether a parent or guardian can provide suitable supervision, care, and protection for the child, (3) whether the child has a parent or guardian who is able to return him to court when required, (4) whether the child may be a danger to himself or others if released, and (5) whether the child has previously been found to have engaged in delinquent conduct and is likely to commit a new offense if released. What is the difference between juvenile court and adult criminal court? In Texas, children from 10 to 16 years of age are charged in juvenile court. In Harris County, the children are tried in Juvenile District Courts, whereas in other counties they may be charged in juvenile district or county courts. Juvenile court is considered a civil court, although certain sections of criminal law are applicable. In the juvenile system, a child is charged with a “delinquency” by way of petition whether than with a “crime” by way of complaint or indictment. At trial, a jury or judge returns a verdict of “true” or “not true” instead of “guilty” or “not guilty”. Also, unless a juvenile is certified to stand trial as an adult and transferred to criminal court, juveniles are not released on “bond” but are released or detained depending upon the circumstances of their. Finally, the juvenile system primarily focuses on rehabilitation. Instead of a “punishment” hearing, if a juvenile is found to have engaged in delinquent conduct, the juvenile then has a “disposition” hearing where the consequences for his behavior are based upon guidelines and levels, not necessarily upon the offense as in criminal court. Because juvenile law proceedings are hybrid in that they involve both civil and criminal law, you should retain an attorney that specializes in this unique area of law. The Houston defense attorneys at James G. Sullivan and Associates devote a significant portion of their practice to defending juveniles and have significant trial experience in both juvenile and criminal courts. At what age is a teenager charged and tried as an adult? Texas is one of only 10 states where 17 year olds are tried and sentenced as adults. Because of this, it is extremely important that a juvenile mature quickly before his wayward path takes him into the adult system. For many children, the juvenile system becomes a pipeline to adult prison. Does my child really have to have a lawyer? Yes. The law requires that children in juvenile court must be represented by an attorney during most proceedings. In some circumstances, the judge may appoint an attorney to represent the child and require the parents to reimburse the county for the court-appointed lawyer however this process has been heavily criticized by the local press. The first court setting of your child is referred to as the arraignment setting. If your attorney did not make an appointment to review the District Attorney’s file prior to court, then this is an opportunity for him to do so. Your attorney may also make a written request for a copy of the police report. The District Attorney also may offer a “plea deal” on this first setting to avoid a trial, however before any possible resolution can be considered your attorney must first exhaust all possible defenses. Sullivan considers a plea deal to be the last resort. At this setting, your attorney may also receive and review a copy of the juvenile probation report. Prior to court, a representative of the probation report will call you to ask about your child’s behavior at home and in school. The representative will also contact your child’s school to get his grades, attendance and disciplinary records. As the probation report will be relied upon by the court for case disposition purposes, it is important that the information be accurate. It is a good idea to hire an experienced juvenile lawyer right after your child is arrested so that he can advise you on these important matters in advance. It is possible to resolve a juvenile case on the first court setting if your attorney has investigated the case, reviewed the District Attorney’s file, researched the applicable law and tested the prosecutor’s evidence in advance. This is only possible if your attorney is hired early on, signs on in court as attorney of record and then off dockets your child’s case to a later date to get more time to prepare. Sullivan frequently does this on juvenile cases so that his juvenile client and his parents do not have to needlessly miss work or school. Sometimes, the initial court setting will result in a reset of the case to a future date for reasons beyond the defense attorney’s control. For example, in every case involving a complainant, the prosecutor is required to contact the complainant to gather information regarding any restitution amount, any injuries sustained and his feelings on punishment. It is not uncommon for a prosecutor to not be able to reach a complainant prior to court. At James G. Sullivan and Associates, the Houston juvenile attorneys will strive to complete your child’s case with as few court settings as necessary, without compromising your child’s rights, freedom and future. What happens if my child is found guilty? Juveniles cannot be found “guilty” because the juvenile court is considered civil, not criminal. Instead, a juvenile could be found to have “engaged in delinquent conduct” if the jury or judge finds beyond a reasonable doubt that the juvenile committed the offense. Of course, an experienced juvenile defense attorney will work hard to avoid a finding of delinquency, preferably by persuading the prosecutor to dismiss the charge or the jury or the judge to acquit his client at trial. If a juvenile did commit the offense, your defense attorney may be able to avoid a finding of delinquency by persuading the prosecutor or the judge to grant a deferred prosecution. This is a contract between the juvenile and the District Attorney whereby if the juvenile follows the rules of probation for six months then the District Attorney dismisses the case. The prosecutor cannot agree to a deferred prosecution for certain misdemeanor offenses and all felony offenses, however James Sullivan has been successful in persuading judges to grant deferred prosecution in many such cases anyway. When a juvenile is found to have engaged in delinquent conduct, the court judgment following a disposition hearing can range from (1) a probation where the child is left in the custody of his parents (or guardians), (2) a probation where the child is removed from the home and placed in a local juvenile facility, or (3) the child in felony cases may be committed to the Texas Juvenile Justice Department (formerly known as the Texas Youth Commission). In serious felony cases, depending on the circumstances, the juvenile may face certification or transfer to criminal district court to stand trial as an adult. Can my child’s juvenile records be sealed? Depending on the circumstances, your child’s juvenile records may be sealed. In a misdemeanor case with a finding of delinquent conduct, the juvenile must wait two years and have no other convictions or adjudications before the records can be sealed. In a felony case, the juvenile must wait until he is at least 19 years of age and have no other convictions or adjudications before the records may be sealed. The judge has the discretion whether or not to seal the records. In cases where there was a “determinate sentence”, the records can never be sealed. When a case results in a dismissal such as when a juvenile successfully completes a deferred prosecution, the juvenile can get his records sealed immediately. The juvenile does not have to wait two years or until age 19. Can I post a bond to get my child out of detention? No. Juveniles cannot be released on “bond”. They are either detained or released depending upon the circumstances of their case. The police arrested my child for a delinquency. What is going to happen? The police often take juveniles into custody. Sometimes, the child is released by the police to parents (or guardians). When this occurs, the parents can take their child home but they are told that their child is still being charged. The police then send their information to the District Attorney over the next few days or weeks. If the District Attorney accepts charges, a petition is filed with the juvenile courts. In Harris County, the case is then randomly assigned to one of the three Juvenile District Courts. A Deputy Constable usually will then come to your home and “serve” or deliver the petition to you and your child. The paperwork tell you what your child is accused or and will direct you and your child to appear at a specific court on a particular day. At the same time, the juvenile probation department begins to gather information about your family and your child to prepare a report for the court. In addition to requesting records from your child’s school, a probation officer will contact you to gather information. Before speaking with the probation officer, it is important that you and your child talk with a juvenile defense lawyer in order to protect your child’s rights. While you want to appear cooperative with the probation department, you must also keep in mind that information provided to the probation officer will be put in the report that is given to the court and the prosecutor for consideration. Contact James Sullivan to consult with an experienced Houston Juvenile Lawyer at (281) 546-6428.